It is a great pleasure for me that the Hegner Prize goes on to you. You create performances full of magic and life wisdom for the very small children. With your calm, smiling and welcoming style, you give both the youngest and their adults a magical and easily recognizable moment. 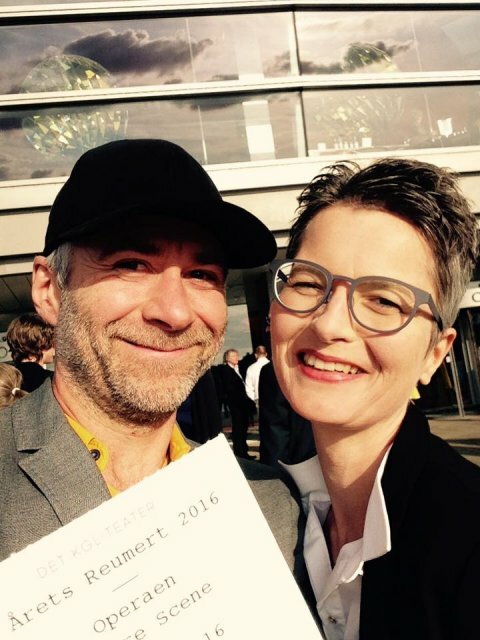 Mette, you have received countless awards both in Denmark and internationally for your unique theater art. Your performances have played in several continents, from Broadway in New York to Sidney Opera House, and now at the lovely POP up festival here in Stockholm. 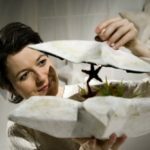 In 2012, you received Denmark’s most exquisite theatrical prize – The Reumert Prize in the opera of Copenhagen for your work with puppet theatre. It never happened before that the award was given to a theater artist working with children from 2-4 years. You, Mette, create theatre which appeal to the children’s imagination, which remain in the hearts of as well the adults and the children. 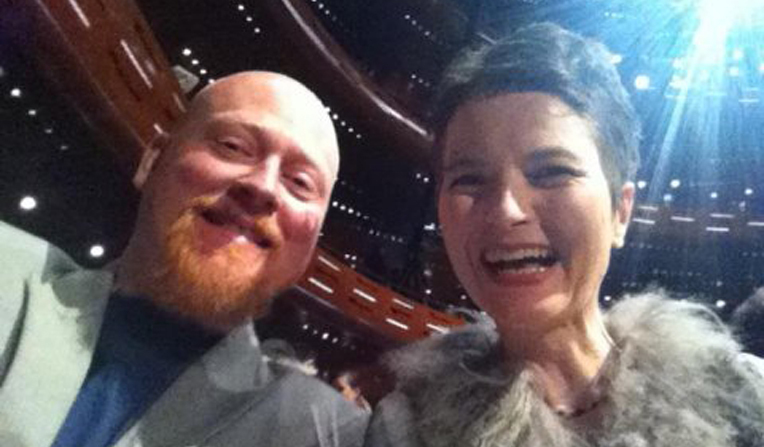 You are a modest and incredibly nice person, and a great theater artist. That is also why I have known – since I received the small sculpture of the clown Charlie Rivel – that he should live on with you in 2018 – 19. Perhaps he could inspire you to create for your Theatre My – another magical and breathtaking performance. “Family performances are usually big productions with many performers, where the whole family can gather for the theater experience. This evenings awardwinner is probably what you would call the opposite end of the spectrum. The target audience is the youngest and often unprepared, theaterguests. Even so, even as an adult, you must use all of your willpower to not crawl all the way up on the stage to come even closer to the performer, and to all of the wonderful things and effects that materialize in front of our eyes. The beautiful star from the sky that hides a whole sea of ​​fish, starfish and plants. An ordinary bed that hides – the whole universe. This year’s winner of the Children’s Theater Award is Theater My by Mette Rosleff. 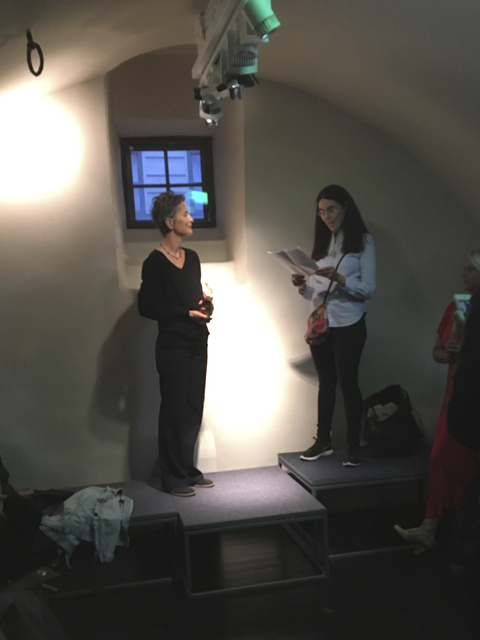 Mette Rosleff herself stands on stage in her productions. With her playful, vibrant eyes and the famous, slightly subtle and contagious smile that gives us the feeling that she knows something, that she is looking forward to sharing with us. And, for good reason, we can look forward to it. For Theater My produces productions that constantly surprise us. It is productions for the little ones, but about the big. At least about the big things in stageart, in the theater experience: Where nothing is only what we see. Behind the most common objects, behind a white stage curtain, in a small drawer, the magic and the adventure hides. Exactly as it may also be the case with life – at least when you are two to five years old. 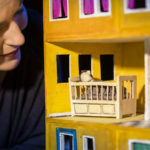 In Teater My’s productions, everything about stageart, that fascinates us adults are brought together: When even in the most common, everything is more and different, than what we first see and believe. Mette Rosleff encircles the stage in magic, where imagination has no limits, and everything can be transformed. 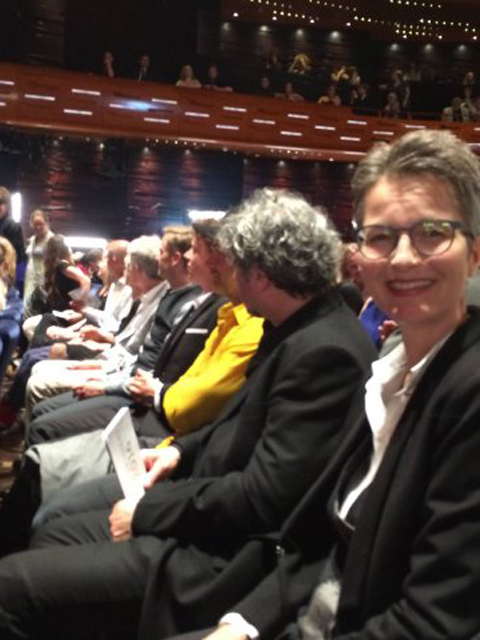 It’s hard to believe that the brand new theaterguests after such an experience, wouldn’t become addicted to the artform that Mette Rosleff presents to them. With her productions, meeting them wherever they are, but taking them as seriously as an adult audience – giving them the very best and finest theaterarts can offer. “My dad and angry Man”, ZeBU & the musical theater SAUM. 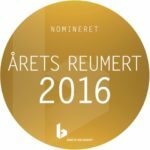 This years Reumert Awards will be presented at a galla show on June 12th 2016 at the Copenhagen Operahouse. 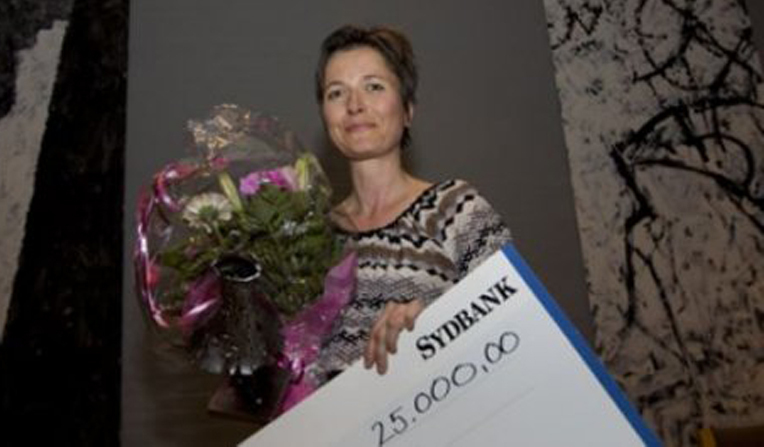 The award for the childrens’ performance of the year was presented to Mette Rosleff at a galla ceremony at the National Operahouse in Copenhagen on April 29th, 2012. With her on stage to receive the award were her director, set-designer and co-writer Giacomo Ravicchio, her composer Martin Vognsen and her technician Jakob Kirkegaard. 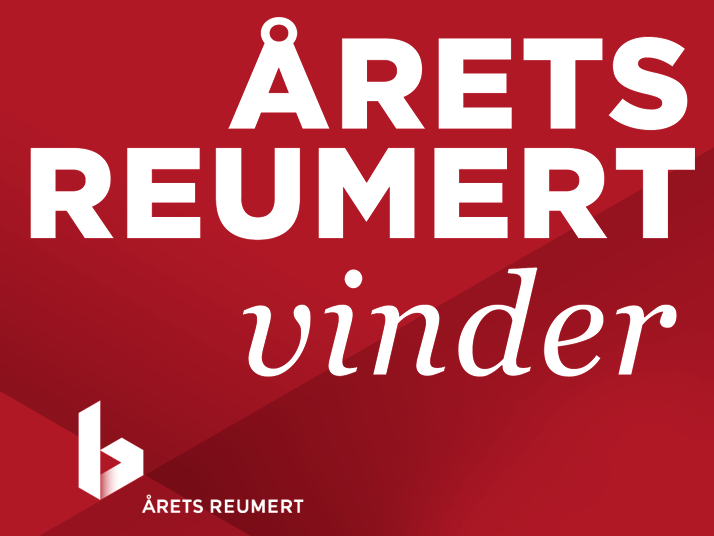 The Reumert of the Year is sponsored by Bikubenfonden. 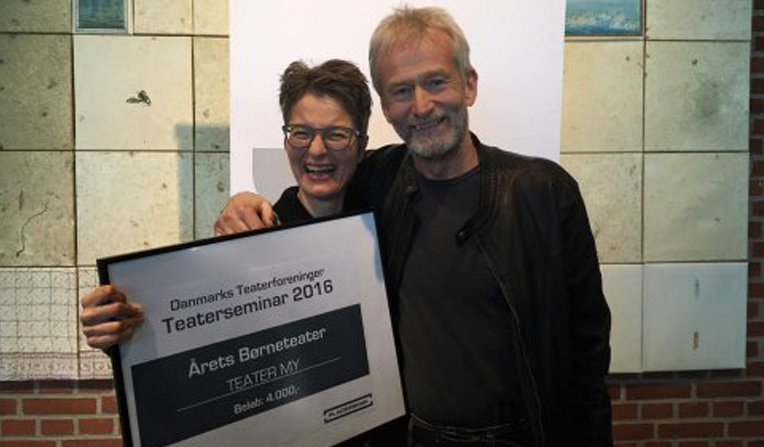 It is a national, annual award and is considered the most prestigious theatre award in Denmark. “It is with great pleasure that I once again get to present the Horsens Municipality’s Children’s Theatre Award on the occasion of the Horsens Children’s Theatre Festival. 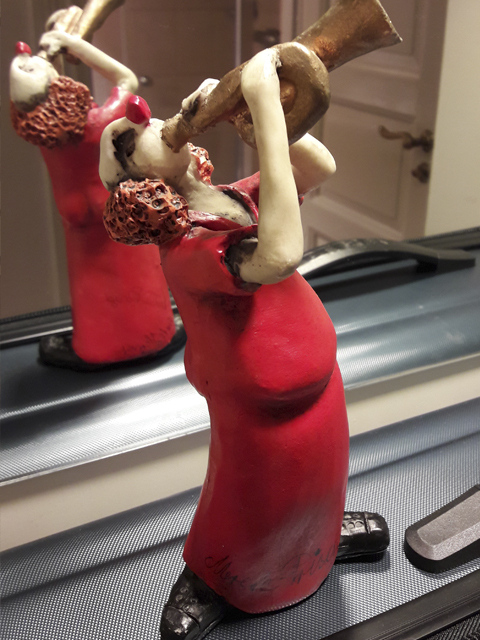 The award consists of a monetary grant of 25.000 kr, and also a more tangible bestowal: a statuette sculpted by Kaj Rugholm. It is indeed a pleasure to present this award, because it distinguishes a theater or person, who through their commitment and the necessity of year-round hard labor, take part in giving children a first class cultural experience. When children and the arts connect, and the arts touch the children through a live cultural experience, then a seed is sown in these children that lets them meet the world and the live arts with ears and eyes wide open. The children get to sense that there is something very special about experiencing art in close proximity. This encounter between a child, with all antennae extended, and art, personified in a living, breathing person doing something as odd as theatre, must be an overwhelming and surprising experience for anyone who has yet to learn to decipher the theatrical language. It is clear to me that it takes something special in order to make theatre for children. One must address them with great respect, and the artistic approach should be both curious and serious all at once. One shouldn’t resort to slapstick and high-pitched silly voices just because the target audience is children. It’s not a clown show. It is theatre of high integrity and respect. This year’s recipient possesses a skill that is irresistible to both children and adults. With a firm gentleness towards both audience and art, our recipient tackles the stories of life, as well as the audience and the arts. From the very moment our recipient initiates the performance, any chance of blankly slipping away into nothingness is void. You are held by the hand and guided through a play where the style is enchanting and intense, and, in respect for the young audience, also calm and assuring. This evening’s recipient has performed theatre for all age groups, but has a unique talent for capturing the very youngest with her personal enigmatic charisma. Performing for this age group demands something special, and this year’s recipient has shown the ability to play for the young ones without resorting to the “cute” and without ever taking the easy way out. Through images and stories, this person gently grasps those tiny ones and challenges their beings as well as melting the hearts of the audience. A special space is created wherein the focus and tranquility that is needed in order to speak to us as an audience pervades. Through beautiful performances, purebred aesthetics, poetic visions and respectful calm, the recipient gains the attention of the audience and in return wins their respect for the arts. This recipient’s own theatre is barely a dozen years old. Hopefully we still have a good number of performances in store, yet to emerge from this artistic treasure trove. And tonight we will honor her for her great work for the little ones. We pay tribute to her because she, through her talents, grants the little ones a unique and respectful encounter with theatre and with the arts. We reward her for planting the seeds for tomorrow’s human beings and perhaps the theatre audience of tomorrow.